What is your fear? and how Laughter Heals! INTERACT WITH US LIVE and on #replays … by typing in your comments and questions in the chat box below… We will get all your questions answered! 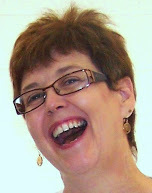 This entry was posted in Healing and tagged healing with laughter, laughter heals, Laughter Yoga, live hangout. Bookmark the permalink.